Many IT leaders at midsize businesses at one time or another face the following question: How do you improve operational efficiencies without having to replace existing software and infrastructure and start from scratch? 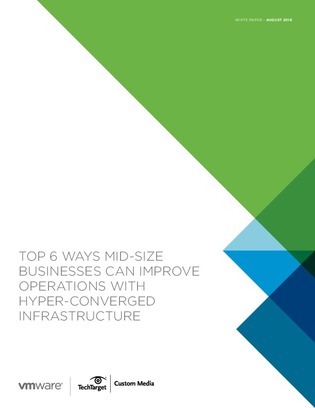 This custom article highlights 6 concrete ways midsize businesses can improve operations with hyper-converged infrastructure (HCI). Read on to see a breakdown of the benefits, as well as view an HCI solution that delivers the simplicity of a vSphere-native experience. If your company is considering HCI, this article is essential.